I realize that I say this almost every month, but I can't believe it's already August. More than a half of this year is already gone! In Canada where I live, it gets quite cooler after mid August. Soon, we will be able to feel the fall approaching. Fall is my favourite season, so I'm excited! But before that, I'm still sewing a few summery clothing. I thought I had a head start this year since May was hotter than usual...I guess I didn't. I always like colourful clothes and fun prints, but this season I'm drawn to monotone shades. 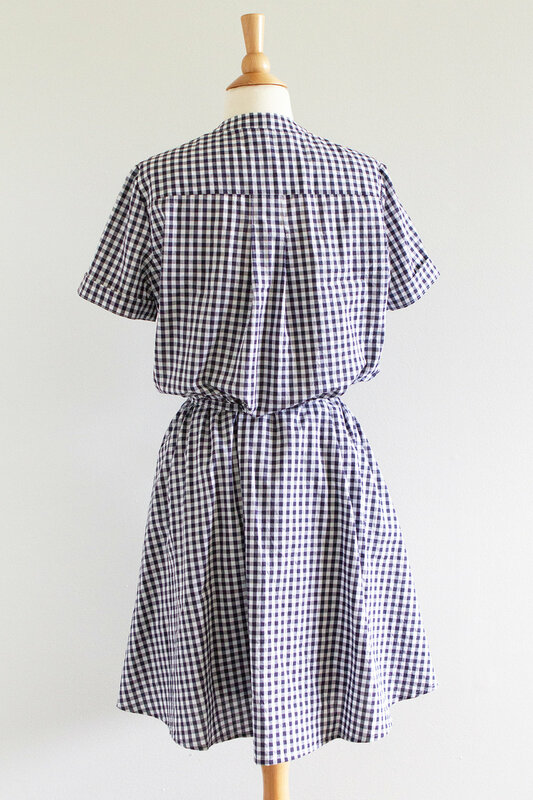 So this gingham dress I'm sharing today is in navy! I used McCall's M7242 as I did for this red polka dot dress before. Just like the last time, I made the neck opening less deep and added more flare to the skirt. Shortening bodices is a part of my regular alteration routine, but this time I lengthened it for a few centimetres. I wanted the bodice to be more relaxed around my waist, almost like resting on the waist tie. It turned out like the way I wanted it to look, however, when I wear a slip underneath, the waist doesn't stay in place and ended up being below my natural waist. Even with the waist tie! I didn't want to shorten the elastic around the waist, as that would be uncomfortable. I think next time I will shorten back the length of bodice a bit more. It's hard to see but it has bust pockets! I made a short sleeve version and added a cuff to the sleeves. It's simple but more detailed, I like it! 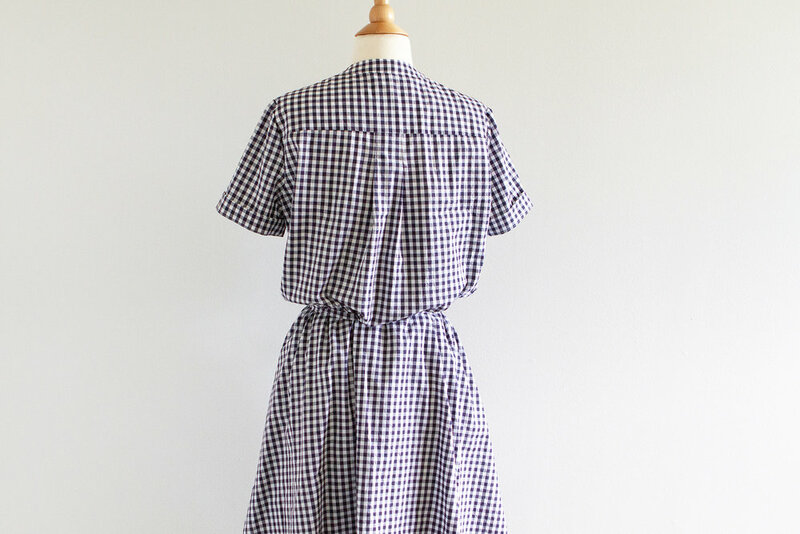 Also, the back pleats (tucks) are pretty. 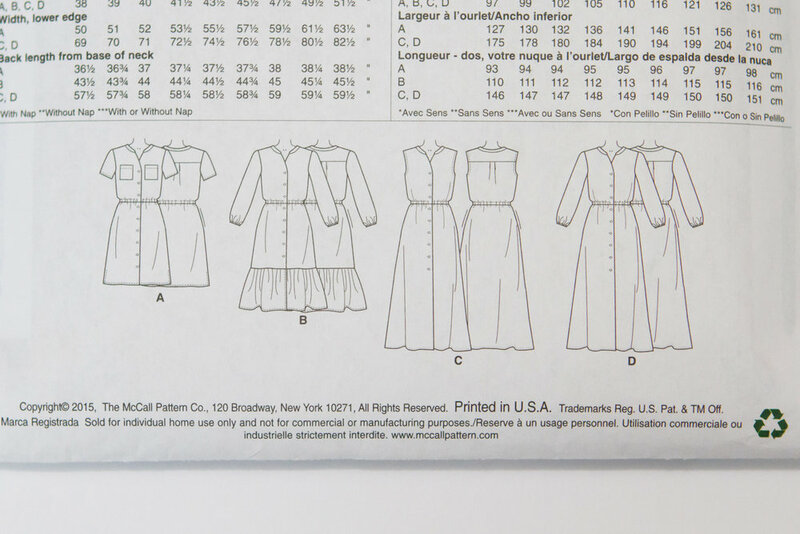 it makes me happy when a shirt pattern has the back pleats/gathers! 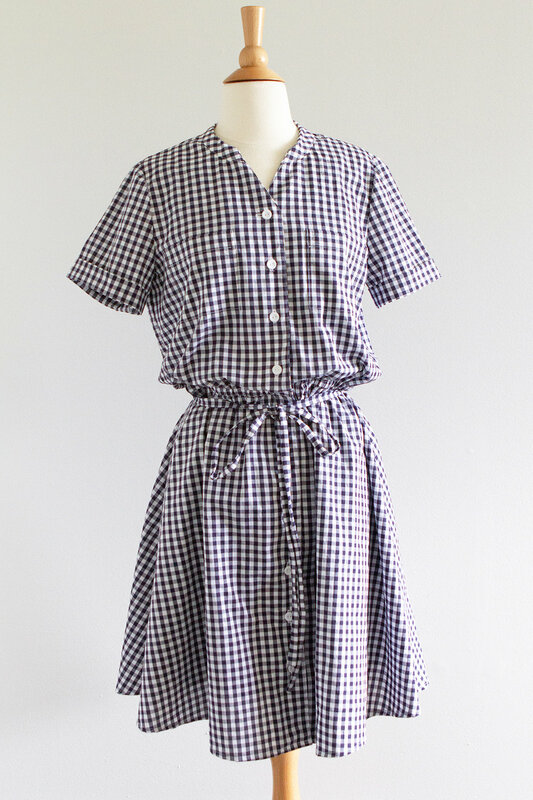 Shirt dress and the gingham fabric is such a great combo, don't you think? It's summery, relaxed, clean, and grown up! Love love love.